Algoriddim, the software company behind the highly successful iOS/Mac DJ applications djay and djay Pro, has just announced plug-and-play support for Pioneer DJ’s newest top-of-line gear. Keep reading for the details on how djay Pro supports CDJs in HID mode. With a new version of djay Pro, Algoriddim adds support for the latest iteration of the Pioneer : the 2000NXS2 and the TOUR1. Since launching CDJ integration a few years ago with the CDJ-2000 and 2000NXS and CDJ-900 and 900NXS, Algoriddim has established itself as having some of the tightest CDJ integration of any DJ software – including full usage of the CDJ screens. The CDJ-2000NXS2 and TOUR1 players are being added to the (very long) list of approved hardware that works plug-and-play with djay Pro. In my experience, the integration is very tight, with jog wheels and controllers responding well to control inputs. Furthermore, the screen utilization is seamless: making the players appear like you are loading Rekordbox-analyzed music off of a USB drive. We’ll be interested to see how the CDJ TOUR1 browsing screens will be used though – can we expect to close our laptop entirely? Another exciting feature is Spotify premium integration, which allows (when a reliable internet connection is available) the players to stream music files from Spotify. This certification program means that now, Pioneer will specifically verify 3rd party usages of their hardware. 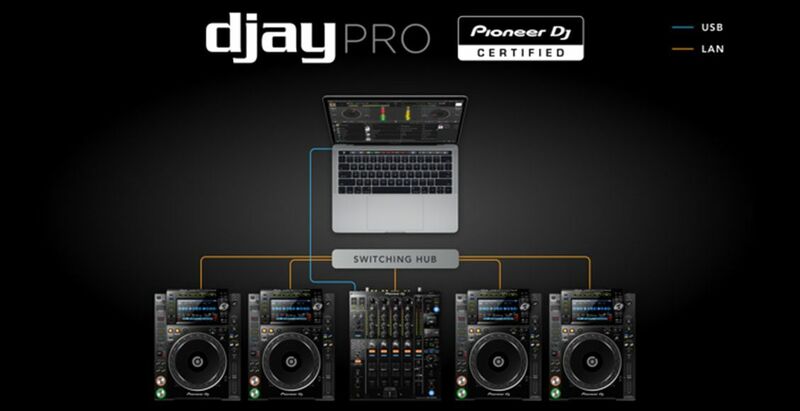 What becomes interesting is what Pioneer will actually certify: will they certify the usage of CDJs withdjay Pro or will they certify the djay Pro software itself? This program gives DJs assurance and confidence that Pioneer certified equipment will perform as expected. Will program this fast track other players to get Traktor and Serato DJ certification, or slow it down?